Here are some photos of our Fall-Winter Concert. Thank you for your support for the past 125 years! Special thanks to Stan for the photos! Bring your Spouse or a friend or a potential member. Many of the streets will be closed so you may want to come in on the side streets. 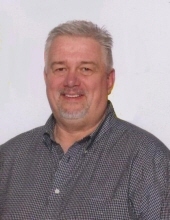 Randy J. Bialecki, age 60, passed away Tuesday, September 1, 2015 at Ebeid Hospice Residence in Sylvania, OH. Randy was born February 5, 1955 in Toledo, OH to Robert and Camille Bialecki. A graduate of Bowsher High School, Randy received his Bachelor's Degree from the Ohio State University and his Master's Degree in Music from Eastern Michigan. He was passionate about his music and played in numerous bands around the Toledo area including the Mighty Meaty Swing Kings and Friar Tucks. 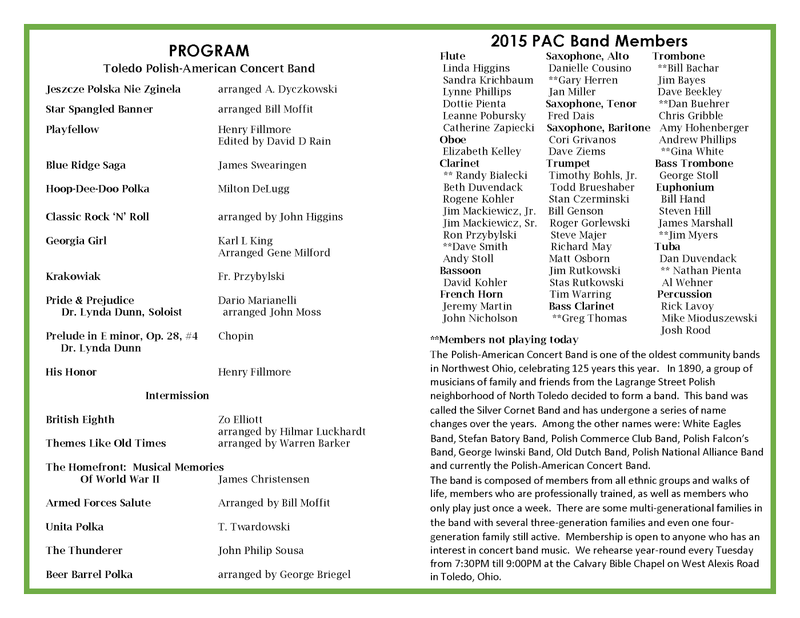 Hewas also the director of the Polish American Concert Band (PAC Band). Randy began his career as Band Director at Central Catholic and later at Cardinal Stritch High School before taking a position as music teacher and band director for Dundee Schools where he and his students won several competitions. He then worked as a production supervisor at the General Motors Willow Run plant for ten years and was most recently a manager at Optimal LED. Randy was a longtime member of St. Patrick's of Heatherdowns Parish. Randy and Liz were well known for their famous Mexican parties that they hosted for years. Randy had an appreciation for cars, especially old cars- his pride and joy was his 1967 SS Chevelle. He loved to cook, garden and craft. Randy was an avid bowler and softball player and won several softball tournaments with his team. His terrific sense of humor and sarcasm will be missed. Randy is survived by his wife of 24 years, Elizabeth Hood Bialecki; children, Emily and Joseph Bialecki; mother, Camille Bialecki; several in-laws; and many nieces, nephews, and friends. He was preceded in death by his father, Robert Bialecki; sister, Lisa Terry; and brother, Tim Bialecki. Visitation will be Friday, September 4, 2015 at the Walker Funeral Home, 5155 Sylvania Ave. (west of Corey Rd.) from 2-9:00 pm with a Rosary Service at 7:00pm. Services will begin at 10:30 am on Saturday with prayers at the funeral home followed by an 11:00 am Funeral Mass at Gesu Catholic Church, 2049 Parkside Blvd. Toledo, OH. Interment will be at Resurrection Cemetery after the services. Memorial contributions may be made to Hope Learning Academy- Toledo, 4234 Monroe St. Toledo, Ohio 43606 or Toledo School of the Arts Music Department, 333 14th St. #4, Toledo, OH 43604. Online condolences may be shared at walkerfuneralhomes.com. Thanks to all members for an excellent performance at the German American Festival. We have received many positive comments on the day. NO rehearsal on Tuesday September 1st and 8th. Next rehearsal will be Tuesday September 15th. Lots of new music for the fall winter concert and the rest of 2015. Exceptional performance last night at the Eleanor Kahle Senior Center. Many Many very very positive comments received from the audience. Red Book of German Music. Thanks to all for your hard work and dedication. Thanks for an exceptional concert at the Polish American Festival Sunday. Rehearsal on Tuesday July 14th. We will sight read the 5 Alphorn music selections, German National Anthem and the German Book of Music for the German American Festival. 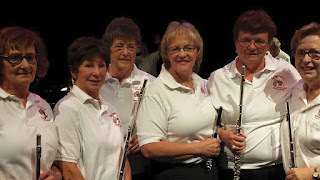 Toledo Polish-American Concert Band Performance Sunday, July 12, 2015 Lagrange Street Polish Festival Toledo, Ohio Concert Downbeat 12:00 noon Al Sobb's at 2817 Lagrange on your GPS. Mettler and Lagrange Streets Location. A Special thanks to Stan Czerminski for taking these wonderful photos. Tonight's concert has been cancelled due to severe weather and the ability to move residents in and out of the concert building. Thank you to all who came out to yesterday's concert! 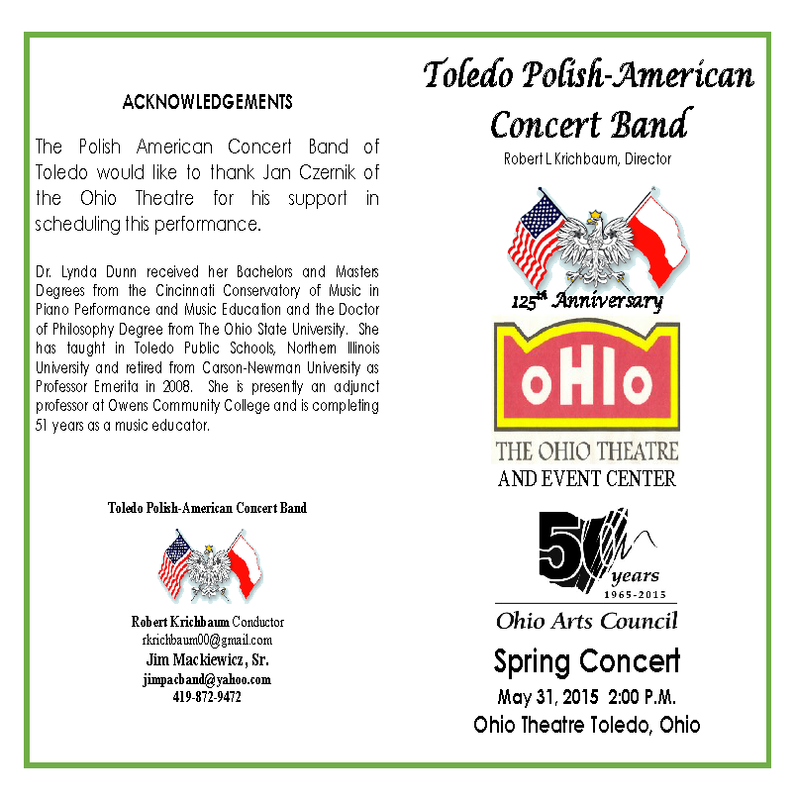 PAC Band Concert on Sunday May 31, 2105, 2:00pm to 3:45pm – Ohio Theatre The Polish American Concert Band has been keeping Polish Heritage alive in the Toledo area for the past 125 years and we are proud to host this wonderful organization at The Ohio Theatre on May 31st 2015. 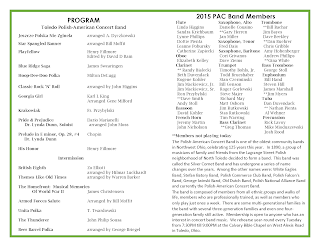 PAC Band is a 50 member year-round community band who enjoys playing music at locations throughout greater Toledo, OH and is a diverse group who all share a love of music. These gigs were played in the past for many years and will be confirmed later. PAC Band is cancelled for Tuesday February 24, 2105 since Toledo Public Schools are closed and many of the roads are drifted and hazardous.